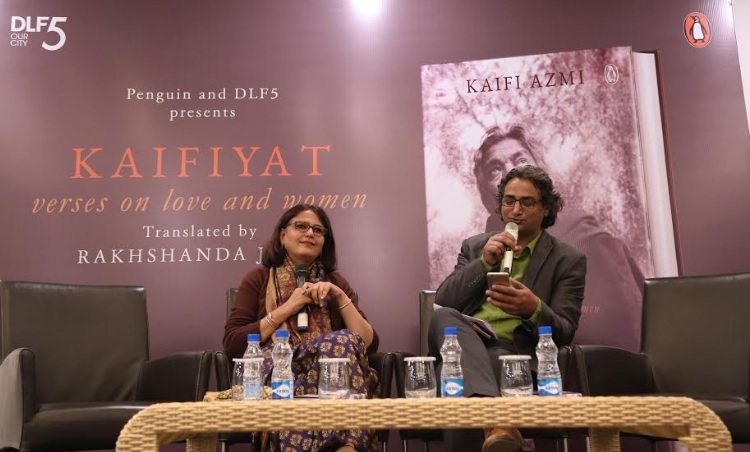 As the country celebrates the 100th birth anniversary of the great Urdu poet and Bollywood lyricist Kaifi Azmi, DLF5 carried on the trend by organizing an enlightening book discussion on Dr. Rakhshanda Jalil`s latest book ‘Kaifiyat’ upon Kaifi Azmi, by Penguin Random House at the premises of Club Vita, Park Place, DLF5. 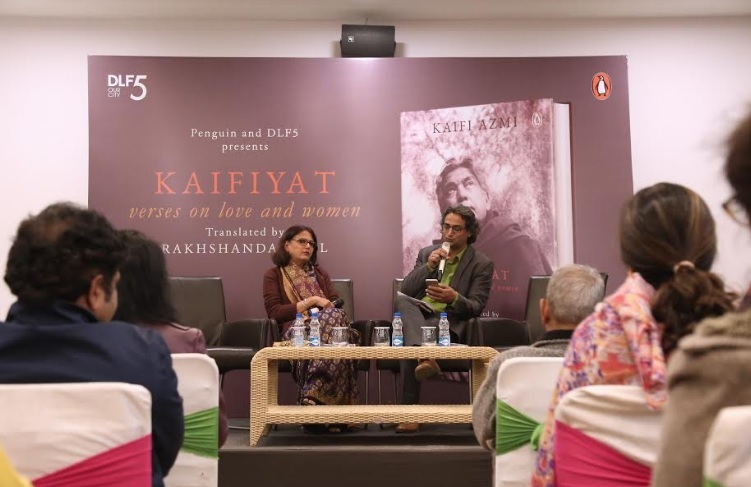 Audience sat in awe as Rakhshanda, in discussion with the contemporary Urdu poet Azhar Iqbal, talked about the life and works of the poet of revolution. The event witnessed an enthusiastic turnout of film and poetry lovers of diverse age groups. Rakhshanda in conversation with Azhar Iqbal, took the audience on a detailed tour of the poet`s poetic, revolutionary as well as personal life. Blended with the interesting anecdotes mingled with the sophistication and tehzeeb of the language and quotations of the poet`s couplets with perfect timing, the session was a feast for the people of taste. The evening was further beautified by the recital of Kaifi`s ghazals and nazms by acclaimed Urdu poets, with their perfect dialect and pronunciation. Kaifi Azmi, the legendary poet whose verses and songs like Sar e raah chalte chalte…and Kar chale hum fida… have ruled the hearts of a generation of Literature as well as Bollywood enthusiasts, has earned equal acclaim in Film as well as literature world. Kaifi Azmi’s literary legacy remains a bright star in the firmament of Urdu poetry. His poetic temperament-ranging from timeless lyrics in films like Kagaz Ke Phool to soaring revolutionary verses that denounced tyranny-seamlessly combined the radical and the progressive with the lyrical and the romantic. Love and romance, in fact, run like warp through the woof of politics and protest in Kaifi’s poetry. This beautifully curated volume brings together poems and lyrics that reflect Kaifi’s views on women and romance-from sweetly lyrical odes like ‘The First Greeting‘ to the powerful, anthem-like ‘Woman‘; from the haunting ‘Regret‘ to the mercurial ‘She of Many Faces‘. These stunning verses conjure a dynamic portrait of womanhood as seen through the eyes of an exquisitely gifted poet. This scintillating new translation is accompanied by an illuminating introduction by Rakhshanda Jalil on Kaifi Azmi’s life and legacy, as well as a moving forward by his daughter Shabana Azmi. Writer, critic and literary historian, Dr. Rakhshanda Jalil has published over fifteen books and written over fifty academic papers and essays. She runs and organization called Hindustani Aawaaz, devoted to the popularization of Hindi-Urdu literature and culture.